Patients awaiting their appointments at the Axminster Medical Centre might find their eyes alighting upon a wall display about Thomas Wakley, local farmer’s son, who founded one of the world’s foremost medical journals, The Lancet. Born in 1795, the youngest of the eight sons of a wealthy farmer in the neighbouring parish of Membury, Thomas was bought up in a sporting environment, his father being a breeder and trainer of race horses and as he reached adolescence Thomas found his tall and athletic physical form suitable for a successful run of victories in bare-fisted boxing throughout local inns and taverns. “The power of the man was apparent ‘ere even a word was spoken,” it was observed. He attended Chard Grammar school and after final schooling in Taunton Grammar school he joined the crew as a cabin boy of an East Indiaman to experience life at sea. Upon his return he worked for an apothecary in Taunton before moving to London where he attended anatomy classes at St Thomas’ Hospital and qualified as a surgeon at the age of 22. He married a Miss Goodchild, daughter of a wealthy merchant and a governor of St. Thomas’ Hospital and set up home in Argyle Street, in a house sited alongside Libertys’ department store and next to today’s London Palladium. As he progressed in his chosen career he became greatly aware of the great degree of quackery and surgical malpractice which abounded in the medical profession of the time and, in 1823, founded a campaigning journal which he entitled The Lancet, after the surgical instrument used to cut out diseased parts of the anatomy. Thomas Wakley became actively involved in the campaign for parliamentary reform, for an extension of the vote, the repeal of the Corn Laws, the abolition of slavery and the suspension of the Newspaper Stamp Act which put the cost of newspapers out of reach of much of the general public. He was elected Member of Parliament for Finsbury in 1835, his maiden speech being an attack on the conviction of the Tolpuddle Martyrs. When their freedom was celebrated by a procession through the streets of London in 1838 upon their release, Wakley was made the guest of honour in recognition of the part he had played in gaining their pardon. By this time Thomas Wakley had formed a working relationship with another major radical reformer, William Cobbett, a farmer and agricultural journalist from Farnham in Surrey, who is best remembered today for his book ‘Rural Rides’. Still in print today it is a chronicle of his observations made of the conditions suffered by the agricultural worker during a journey by horseback through the South East of England and the English Midlands. He serialised his findings in his publication, the ‘Political Register’ which he had launched in 1802 questioning the policies of the Pitt government and embracing radicalism. In 1812, due to financial difficulties, he was forced to sell to T.C. Hansard. Still in existence the publication has become the official record of Parliamentary procedures, Hansard. One night in August 1820 Thomas Wakley, answering a summons to his door was met by a party of thugs who drove him inside, stabbed him, beat him and set his house afire. Although never proven it was generally assumed that the men were avenging the execution of the Cato Street conspirators who had planned to overthrow the government, kill the prime minister and his senior ministers, and set up a revolutionary council. The bodies of the executed men had been surgically decapitated by a masked man after execution and rumour had spread that he was a young surgeon from Argyll Street. Wakley was then faced with a refusal to pay damages by his insurers who claimed he had burned his own house down as evidenced by the fact that he had (coincidently) increased his coverage shortly before the incident. With the able help of a barrister friend named Keen, he eventually won a large settlement against the insurance company. Wakley left his burnt-out house and moved to the city where he set up an office, together with Cobbett, in Bolt Court off Fleet Street, neighbouring the house of Samuel Johnson and the famous Fleet Street pub, ‘Ye Olde Cheshire Cheese’, a tavern frequented by Charles Dickens at the time. The address was one central to radical Victorian London. Both Fleet Street and the Strand, the adjoining street to the west, housed many of the publishers and printing houses publishing journals in the quick-changing world of political reform and social reform and Wakley and Cobbett added to them. They would have frequented the nearby taverns and coffee houses conversing and mixing with such eminent Victorians as Dickens, Thackery and his ‘Punch’ colleague Douglas Jerrold; Scottish doctor George Drysdale, who gained immediate notoriety by writing ‘Physical, Sexual and Natural Religion’, the first English publication advocating various methods of contraception for birth control; young scientist Thomas H. Huxley, who because of his vigorous support of the theory of evolution became known as ‘Darwin’s Bulldog’, and Charles Kingsley, fellow Devonian to Wakley, founder of the Christian Socialist movement and author of ‘The Water Babies’ which combined his concern for sanitary reform and his interest in natural history and the evolutionary theory. On page conference days of the The Lancet and Cobbett’s ‘Political Register’, it was usual that a four-man editorial team would gather in the small office. The printer’s boy was the only person admitted, and later recorded that “upon entering the room he would be met with a scene of utmost merriment”. He could hear as he ascended the stairs “the boisterous laugh of Cobbett, the loud cheerful ring of Wakley and the suppressed giggling of the lawyer, Keen,” retained to observe that editorial content was not libellous. The boy would be greeted with “the sneering smile of William Lawrence”, who was president of the Royal College of Surgeons and was later to become the sergeant general to the Queen. Despite their precautions against litigation they were soon to find themselves in hot water for an account of a botched and obviously painful operation to withdraw a bladder stone through a large incision in the scrotum. The surgery went from bad to worse and the famously incompetent surgeon, Dr Bransby Cooper, panicked, and it took the unlucky patient some time to die. Upon the news Wakley interviewed the operating room team and brought the whole mess to light. When The Lancet was sued upon publication, barrister Keen and his legal team made short work of the lawsuit against them, where after the publication became recognised as a serious force to be reckoned with. Maintaining his passion to safeguard the rights of patients and improving their access to quality medical care the circulation figures of this specialist magazine quickly reached 4,000. Wakely also argued that coroners should be qualified medical men and elected advocates of the people, not lawyers and appointees, and that inquests should be conducted publicly and scientifically and not behind closed doors. When medical coronerships were established he was elected Coroner for West Middlesex in 1839. A main concern for him was deaths in police custody. William Cobbett had served as a soldier in Canada, and was stationed in Nova Scotia between 1785 and 1791, returning to England having risen through the ranks to become a Sergeant Major, the most senior rank of non-commissioned officers. Upon reaching Portsmouth Cobbett obtained his discharge and shortly afterwards produced a publication entitled ‘The Soldier’s Friend’ wherein he protested about the low pay and harsh treatment of enlisted men, and it was a campaign against the brutality of the punishment by flogging that drew the two campaigners for social reform, Wakley and Cobbett, together in a common cause. In 1846 Private James White, of the Seventh Hussars was subjected to 150 lashes of the cat-o’-nine-tails after committing a disciplinary offence. He died a month later after symptoms of ‘serious cardiac and pulmonary mischief’ were followed by pleurisy and pneumonia. The army doctors under pressure from the Colonel of the regiment claimed “Cause of death was in no way connected with the corporal punishment”. Before the burial the vicar alerted Wakley who issued a warrant for an inquest. Evidence was given by Army surgeons and physicians but it was the evidence of Erasmus Wilson, a consulting surgeon of St Pancras Infirmary, who made it clear that the flogging and the death were causally connected. Had it not been for the flogging, he protested, James White would still have been alive. The jury agreed and added their own declaration that expressed their own “horror and disgust that the law of the land provided that the revolting punishment of flogging should be permitted upon British soldiers”. The whole affair obviously impacted on parliament for in the Army Act of 1881, flogging was abolished as a punishment, this was greatly welcomed by military medical officers whose unpleasant responsibilities during occasions of flogging transgressed their professional code. 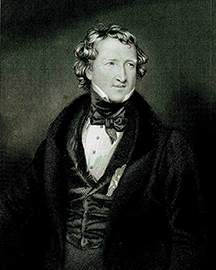 Wakley’s last effective campaign was against adulteration of foodstuffs, a major issue of his day. Coffee was a major problem. Of 34 coffees investigated 31 were found to be adulterated, mainly with the use of chicory, but bean-flour, potato-flour and roasted corn was also found. Sugar, tea, bread, tobacco and pepper were also found to be affected. The most important cause for concern, however, was the uncertain purity of the water supply. The acts of Parliament covering adulteration of foodstuffs and the Sale of Food and Drugs were passed by 1879. All achieved by Thomas Wakley and his associates. The Lancet is published weekly, stringently edited in offices in London, New York and Beijing. During its history over the last two centuries it has brought to the attention of its readers major developments in medical awareness. In 1918 Dr Rivers contributed to the journal an article about the phenomenon of shell shock, a major affliction of the time among soldiers returning from the horrors of combat in the trenches, now, better understood as Post-traumatic Stress Disorder. In 1961 the journal claimed a link between the drug thalidomide and birth defects. The announcement of the first test tube baby was made in its pages in 1978. In 1996 the journal announced a new variant of Jacobs Creutzfeldt-Jakob syndrome, the human form of Mad Cow’s Disease. In 2009 it found itself in conflict with the Vatican about the use of condoms in AIDS prevention. Controversy occurred after The Lancet published its own estimate of the Iraqi death toll in 2004, a figure far in excess of those published by the military. Thomas Wakley died from tuberculosis in May, 1862 whilst in retirement in Madera, Portugal. The editorship of the magazine was left in the hands of his son and then to his grandson until his death in 1909. The legacy of Thomas Wakley, farmer’s son from the Blackdown Hills, from his campaign against the Royal College of Surgeons, his demand for new professional standards, higher qualification requirements for physicians, and a centralised management of doctors, surgeon and pharmacists, proudly lives on in a weekly journal which claims to present ‘The best science for better lives’.